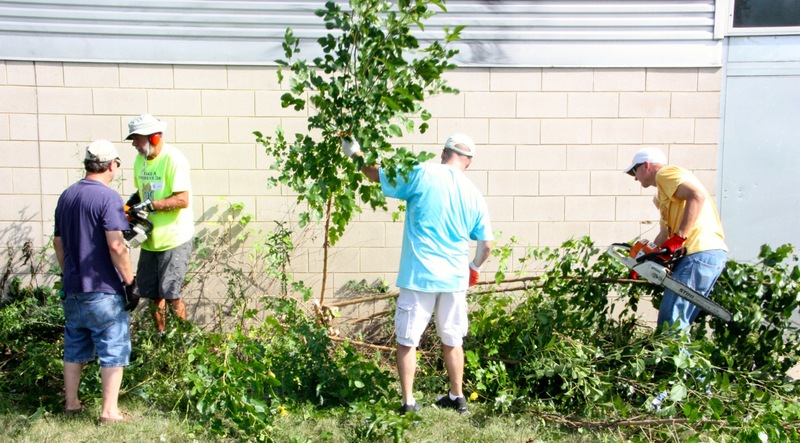 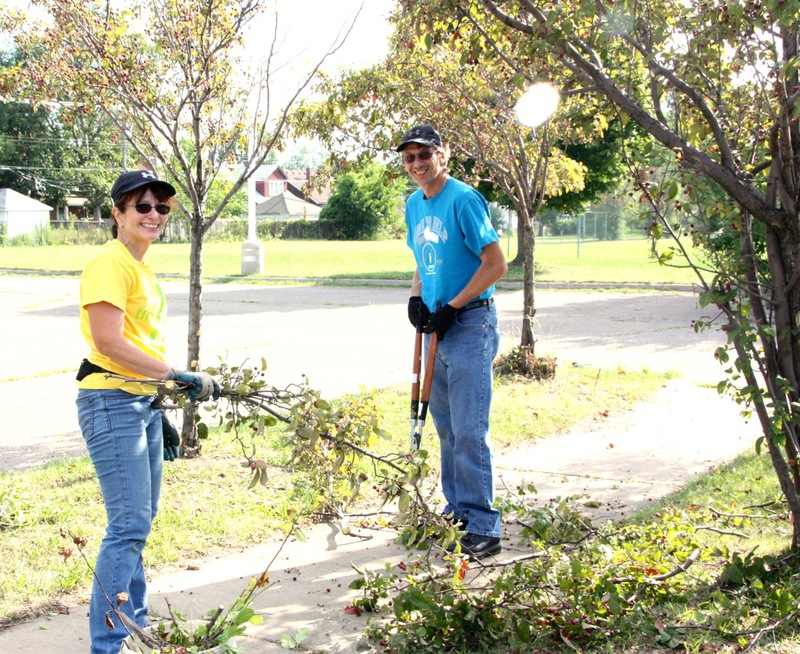 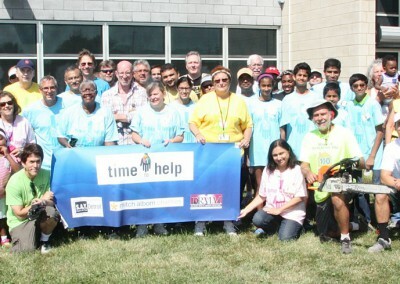 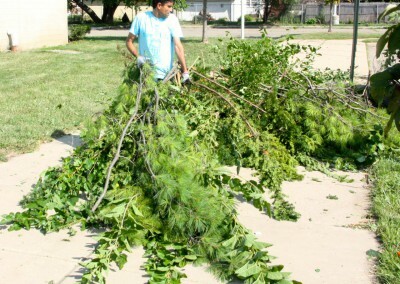 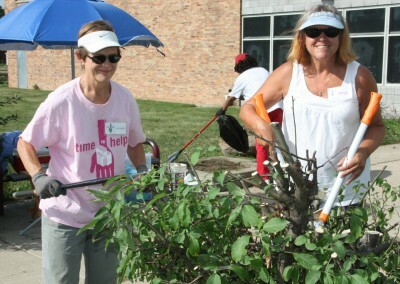 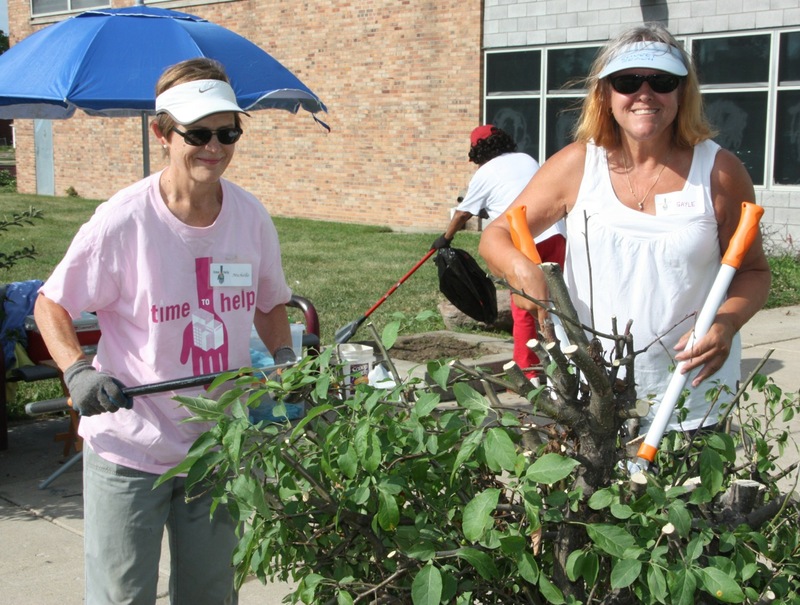 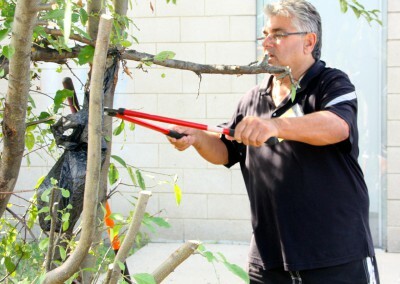 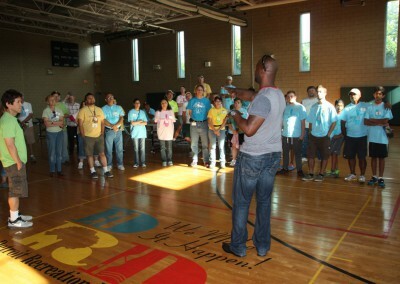 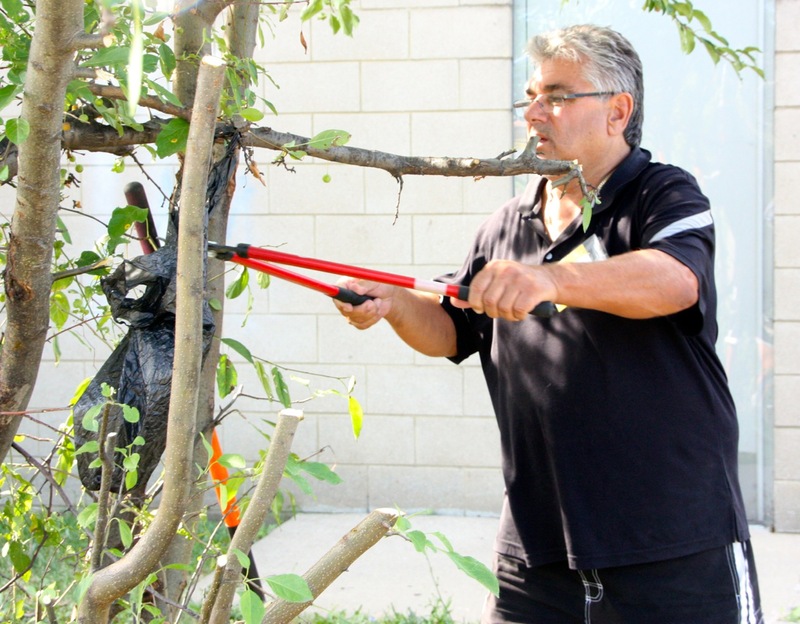 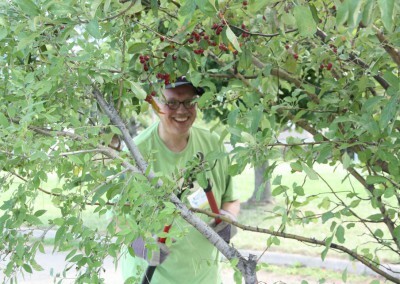 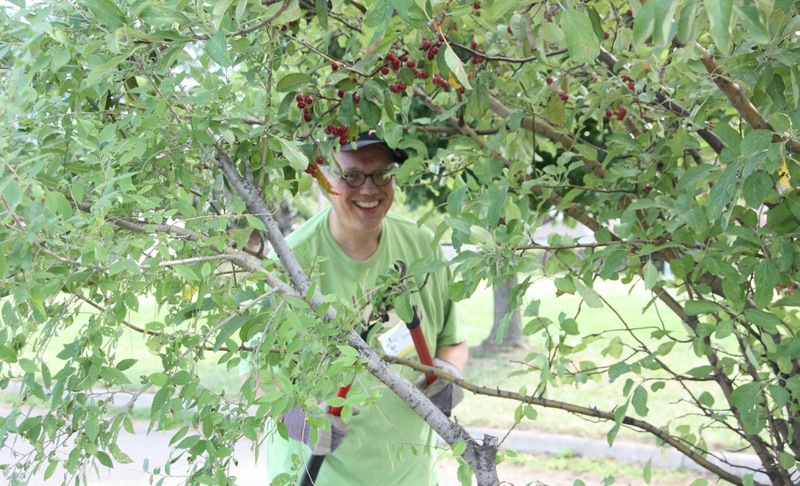 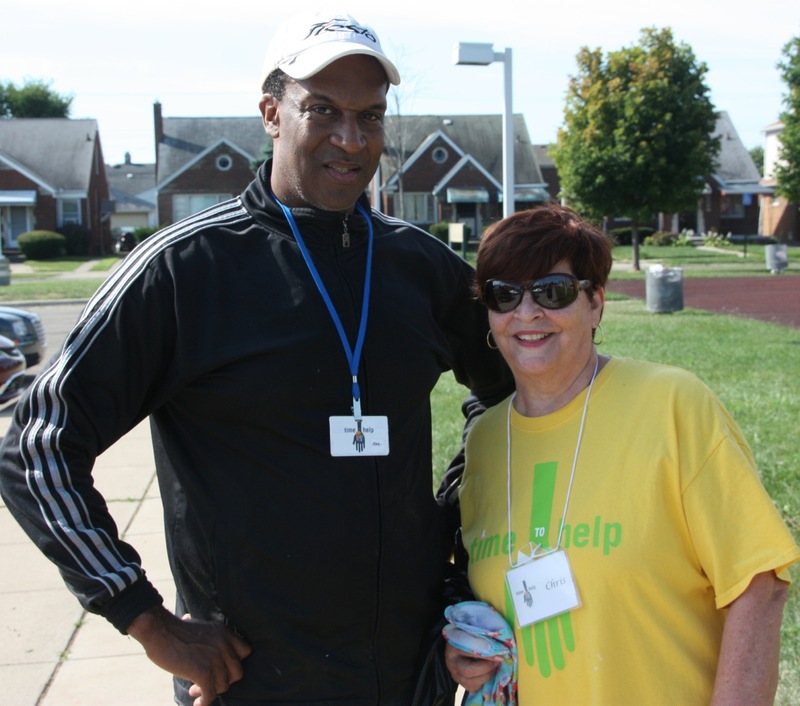 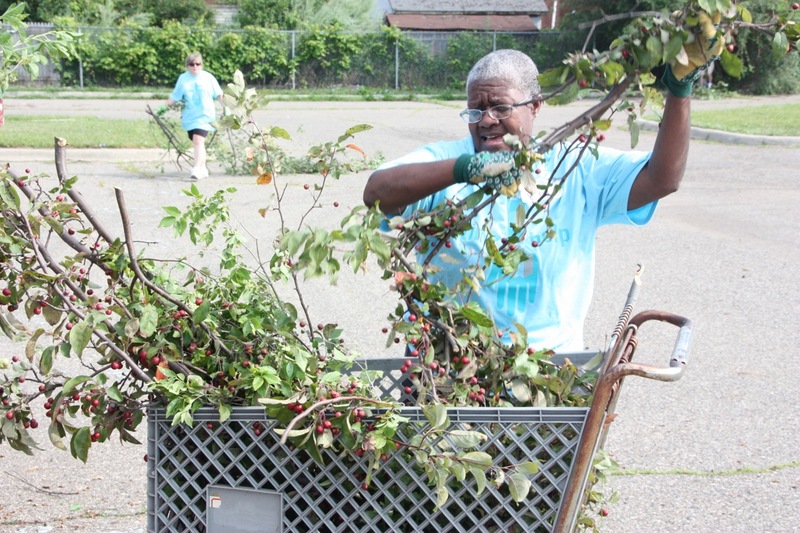 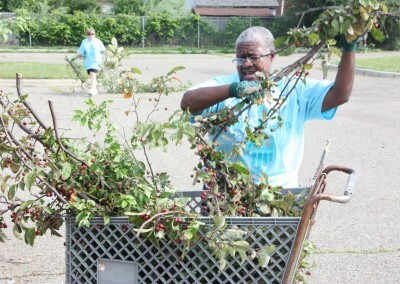 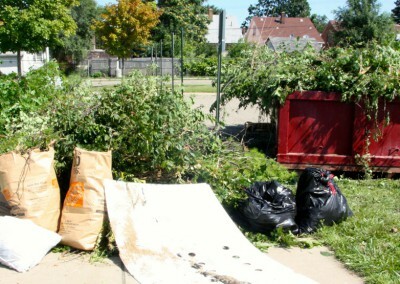 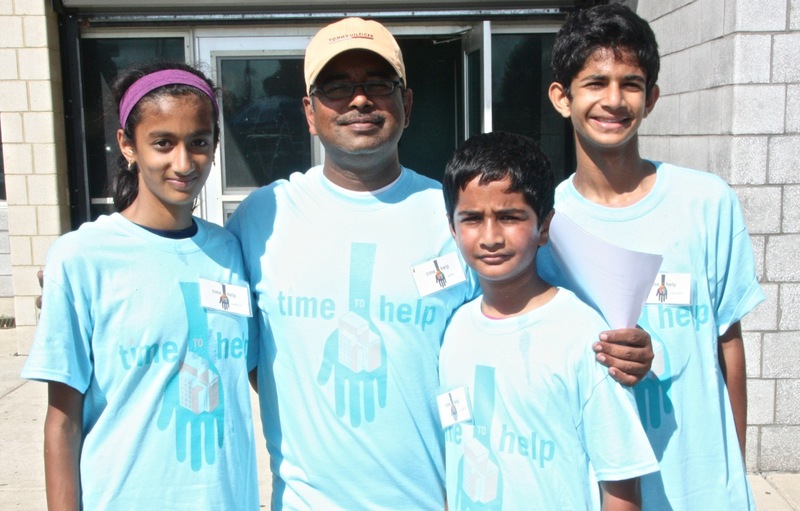 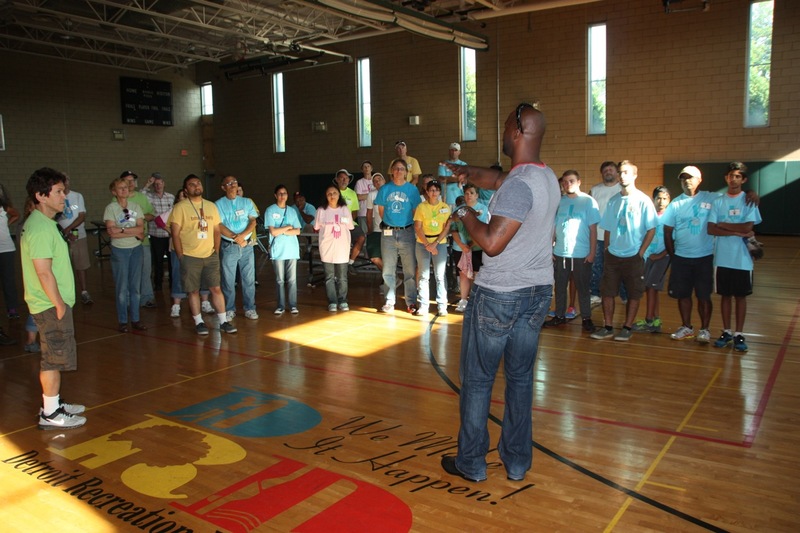 August 15, 2015 – Detroit, MI – Fifty volunteers braved the heat and spent most of the morning pruning and removing large trees and shrubs from the grounds of the S.A.Y. 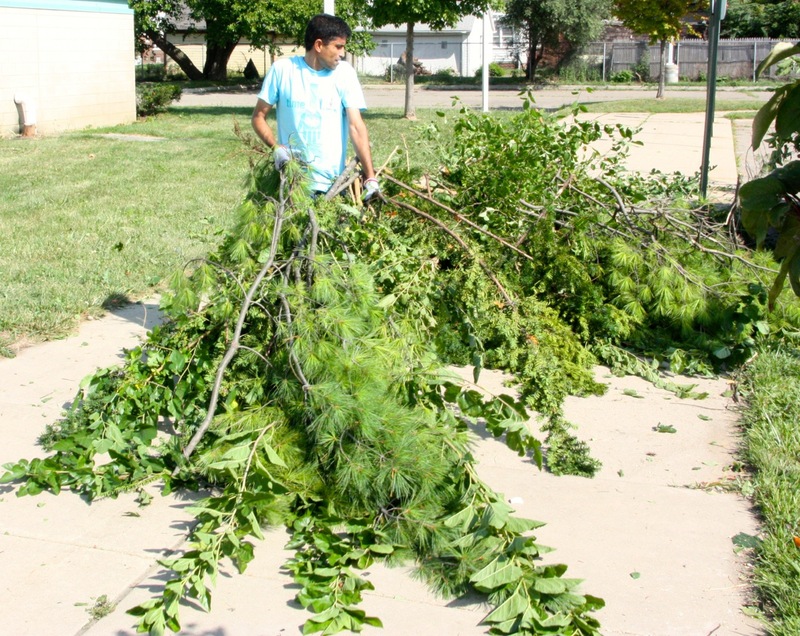 Play Center in an effort to both beautify the campus and make it safer. Formerly known as the Lipke Recreation Center, the new S.A.Y. 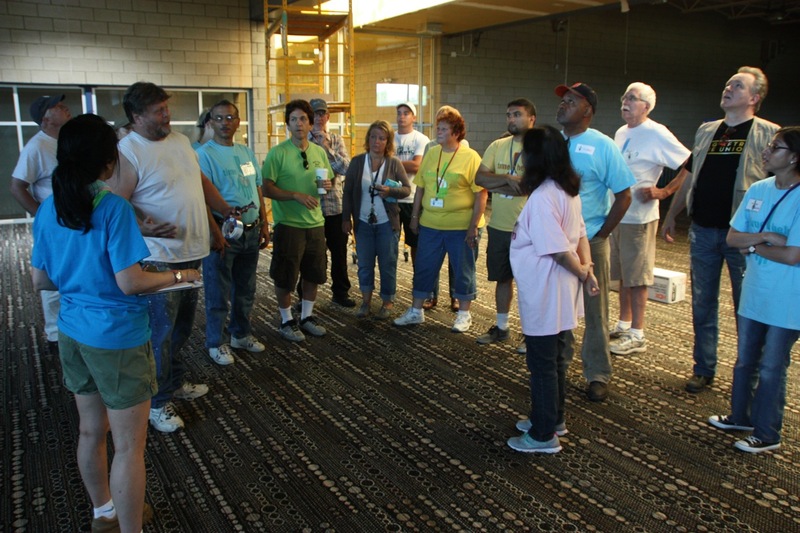 Play Center spans 14.2 acres and is slated to open next month. 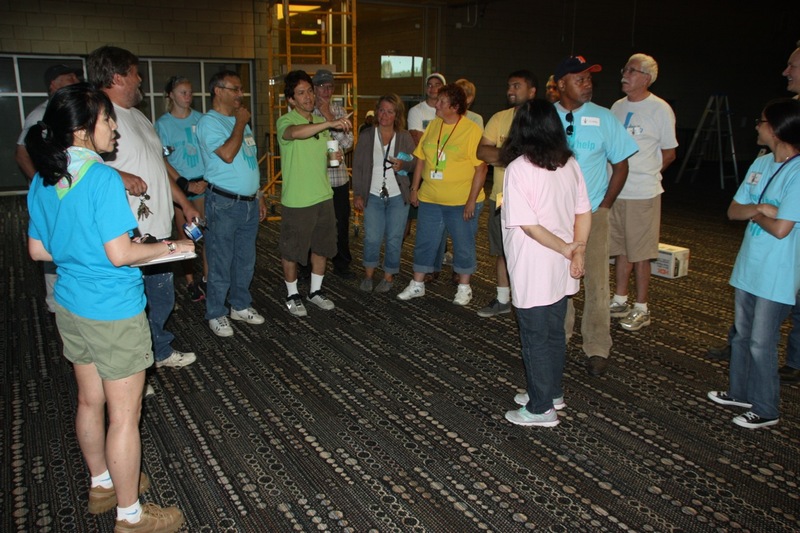 It will serve as a digital learning and tutoring center for students who meet academic and entrance standards and will also provide them with athletic programs through state-of-the art facilities as long as they maintain a 3.0 grade point average and regularly attend school. 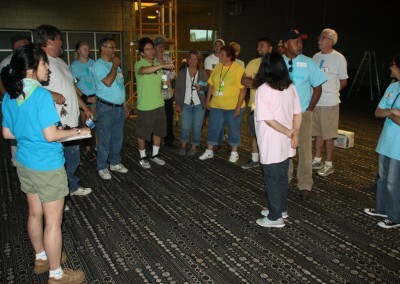 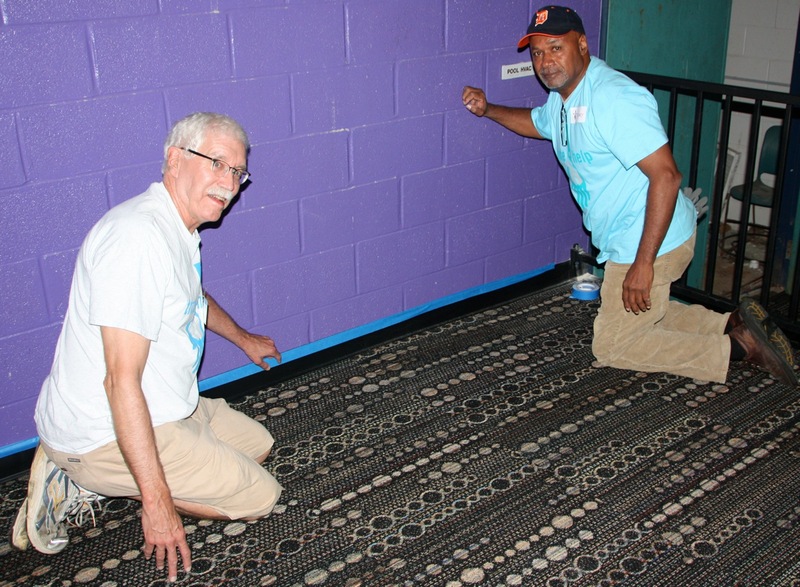 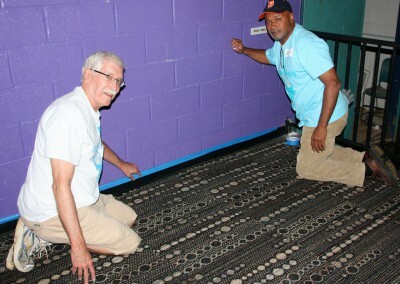 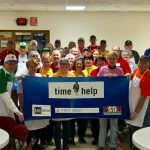 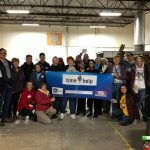 On Saturday, volunteers also laid massive tarps over thousands of square feet of interior space to protect newly-installed carpeting from painters who are working to brighten up the facility. 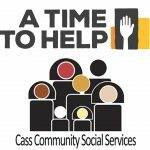 For more information about the S.A.Y. 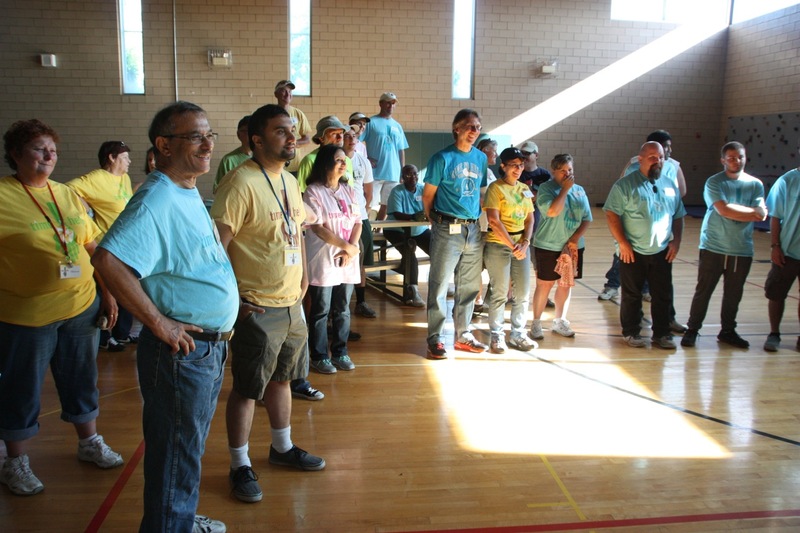 Play Center, visit sayplay.org.